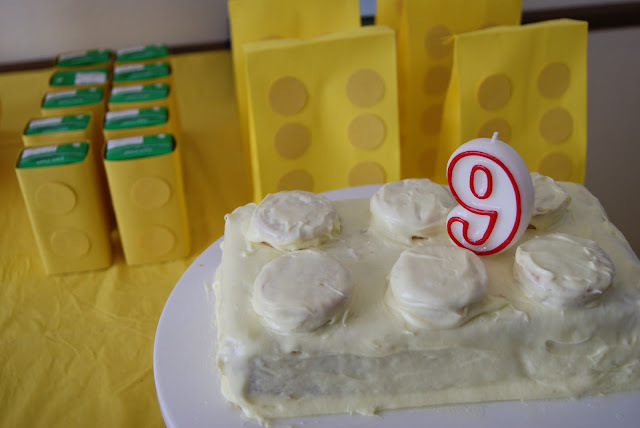 We celebrated 2 summer birthdays again this summer... 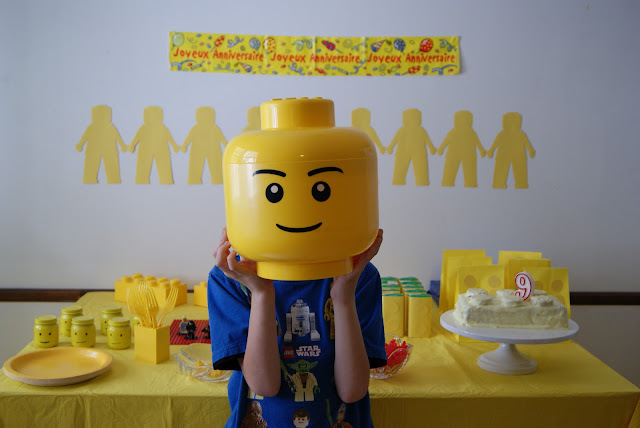 Looking for kid birthday ideas? 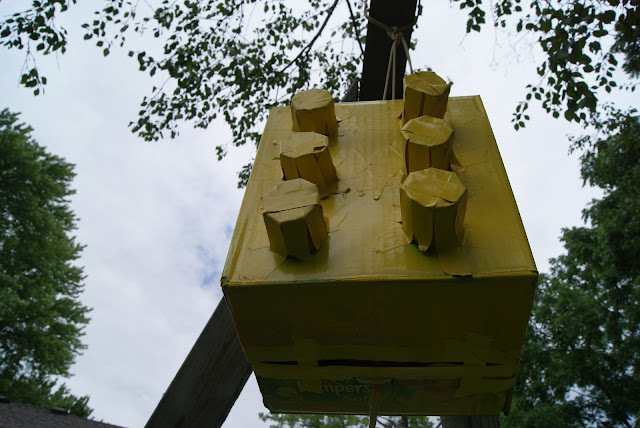 Last year we threw a boy octopus party (for an 8 year old) and a girl Princess Rapunzel party (for a 4 year old). The invitations were yellow card stock and made to look like the top of a LEGO brick. 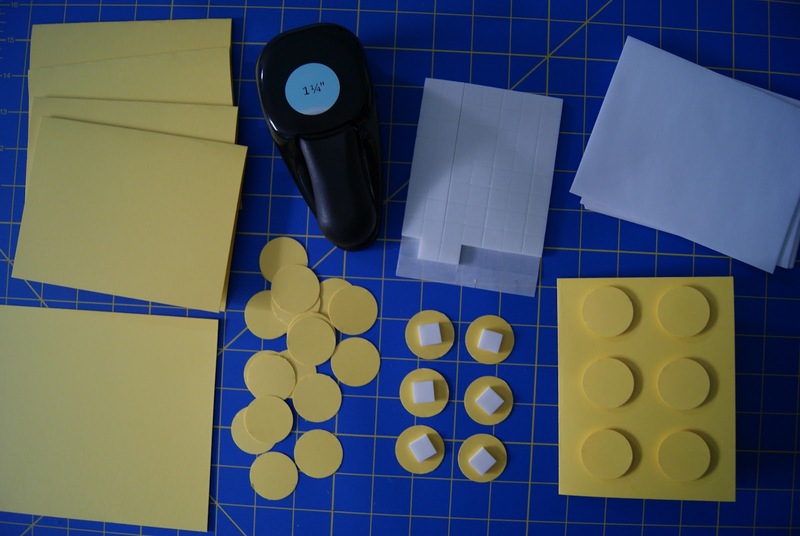 Super easy to make using 6 circles from a 1 1/4" circle paper punch and attaching them with 3D foam mounting squares. 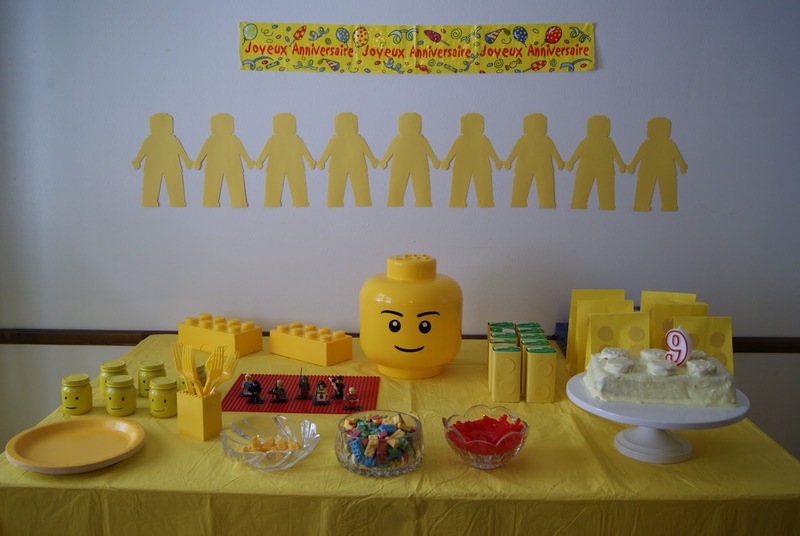 We decorated by putting up 9 paper LEGO minifigures on the wall. We took this LEGO minifigure template, enlarged it, printed out 2 halves, taped them together, traced them onto yellow construction paper, then cut them out. 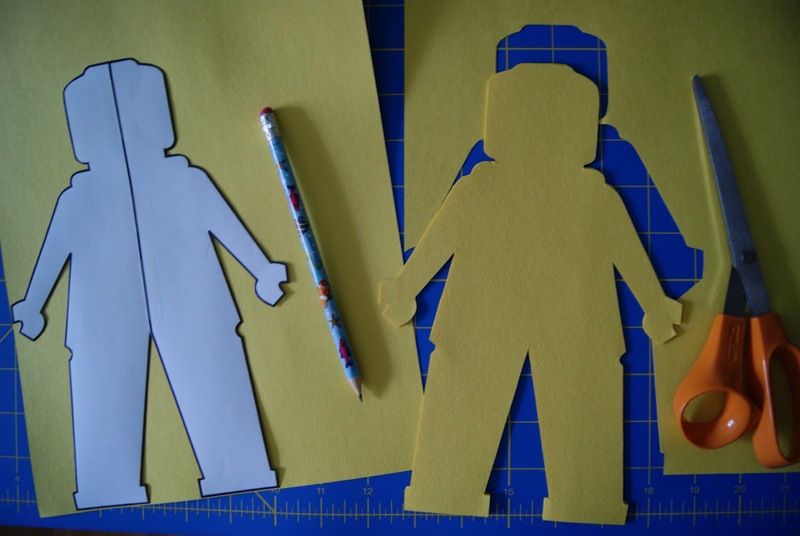 and black permanent marker used to add faces. 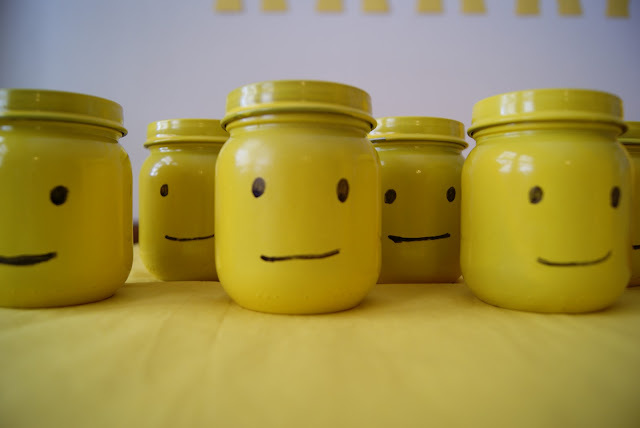 Inside each jar was a LEGO minifigure. 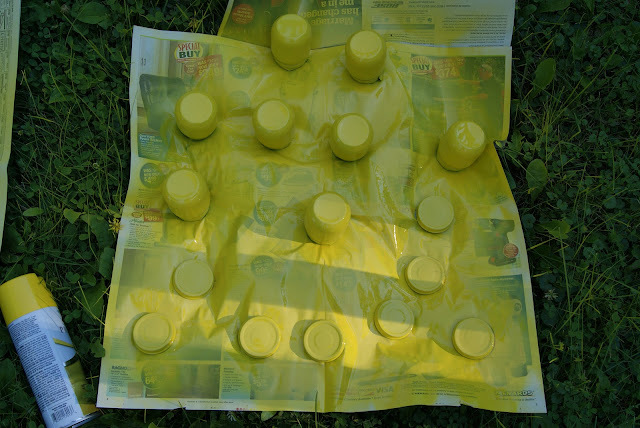 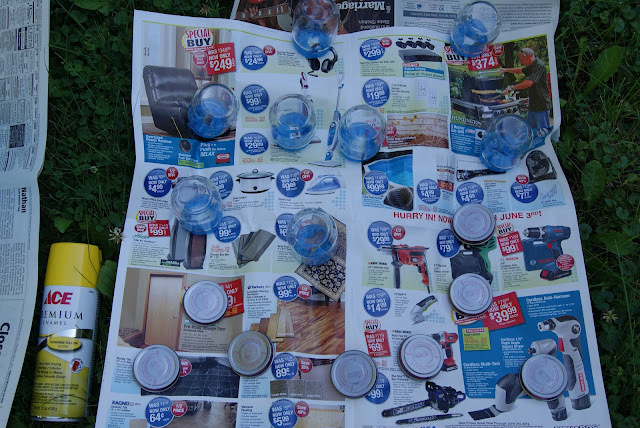 The jars were used for playing a game, just like an Easter egg hunt, we hid them out in our yard and the kids went hunting for them. 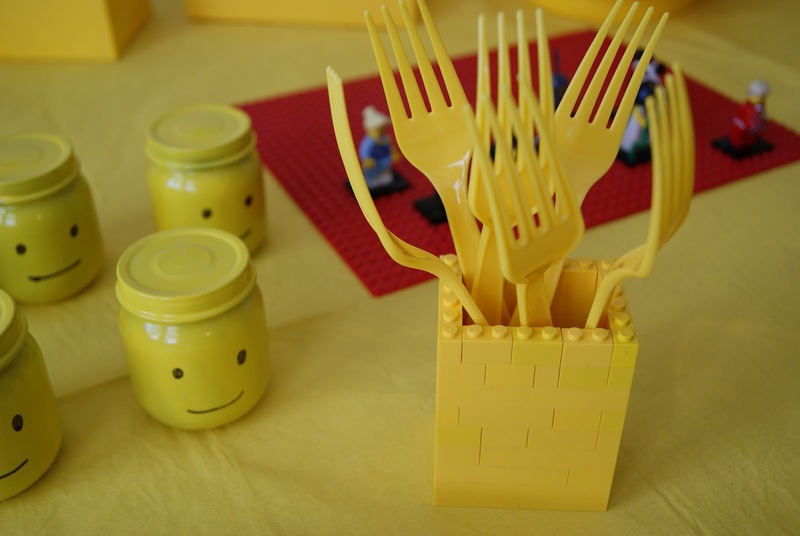 Yellow LEGOs were used to build the fork holder. 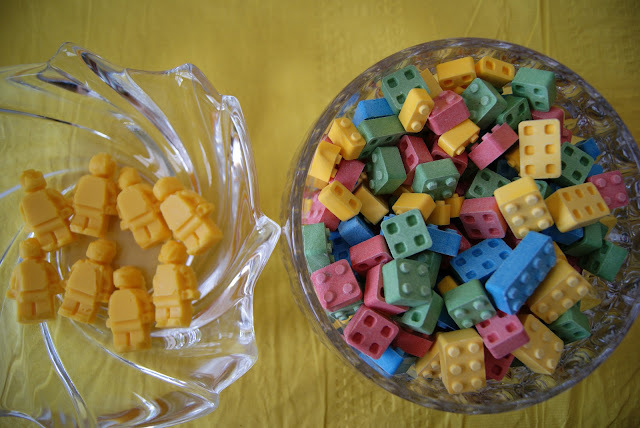 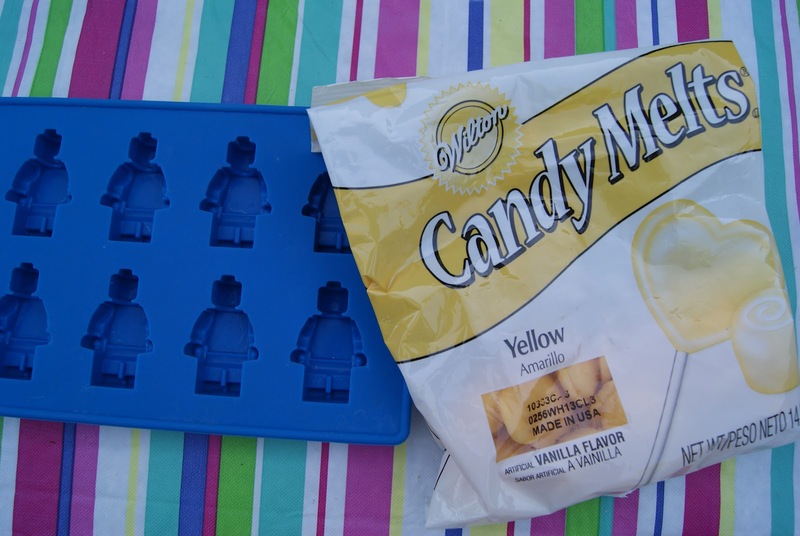 Yellow LEGO minifigure candies were made using a LEGO minifigure ice cube tray and yellow candy melt. 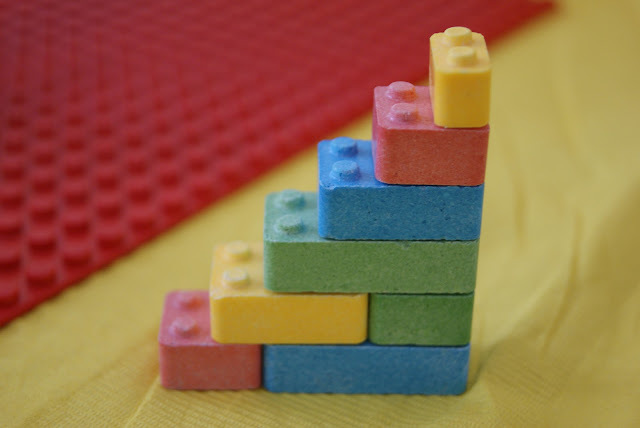 that you can actually build with. 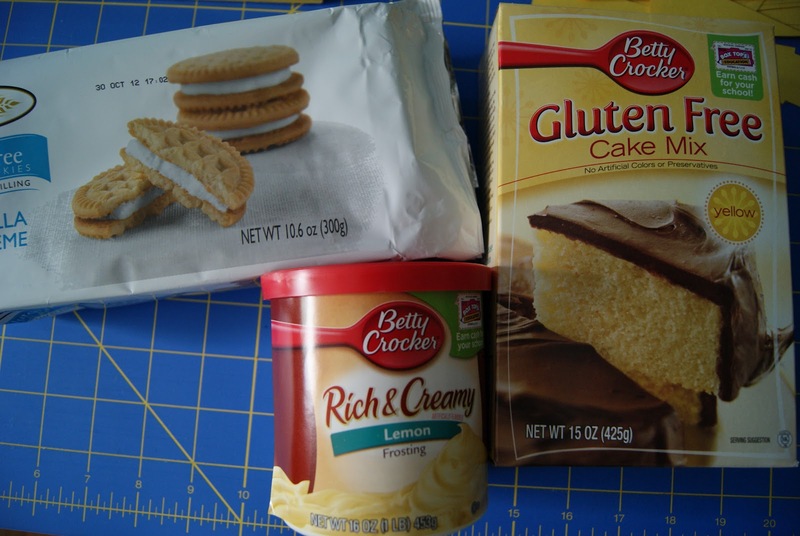 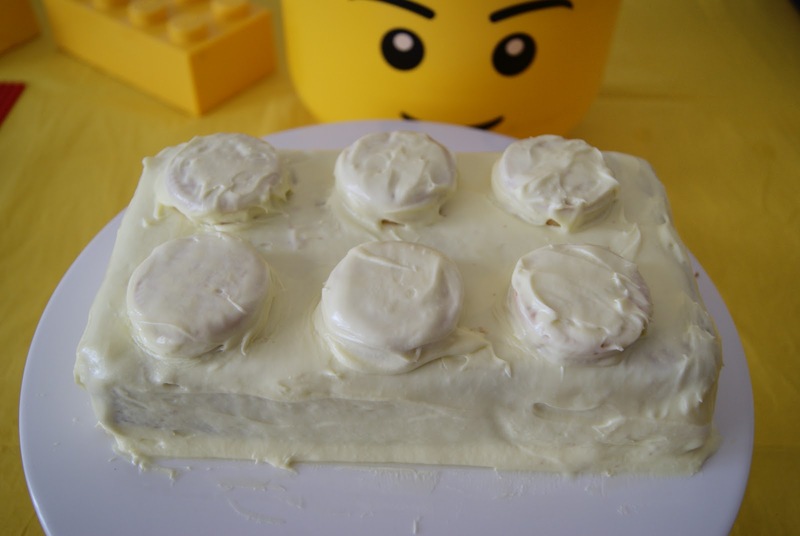 We baked a gluten-free LEGO brick cake in a bread loaf pan, using a GF yellow cake mix, 6 GF vanilla sandwich cookies, and yellow frosting. 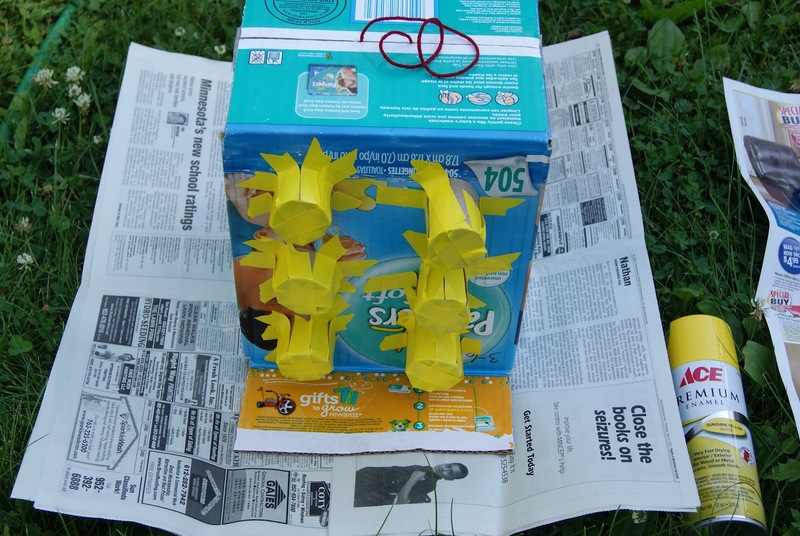 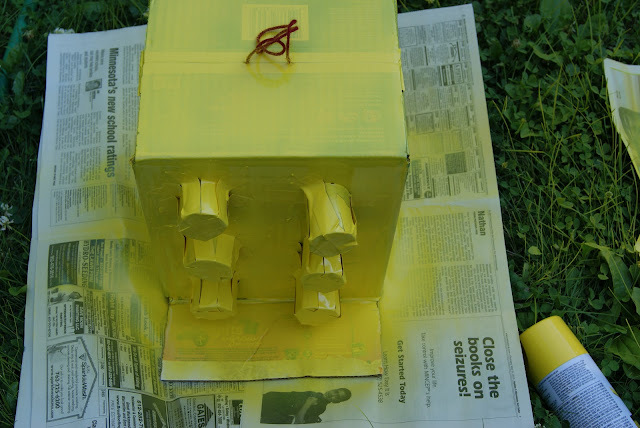 Juice boxes were served, to make these, take 4" X 8" yellow construction paper, with double sided adhesive wrap the paper around the juice box. 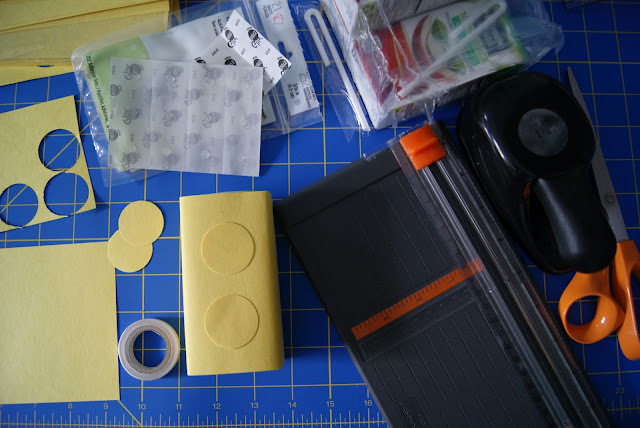 Cut out 2 circles using a 1 1/4" circle punch and attach them to the front side of the juice box using glue dots. 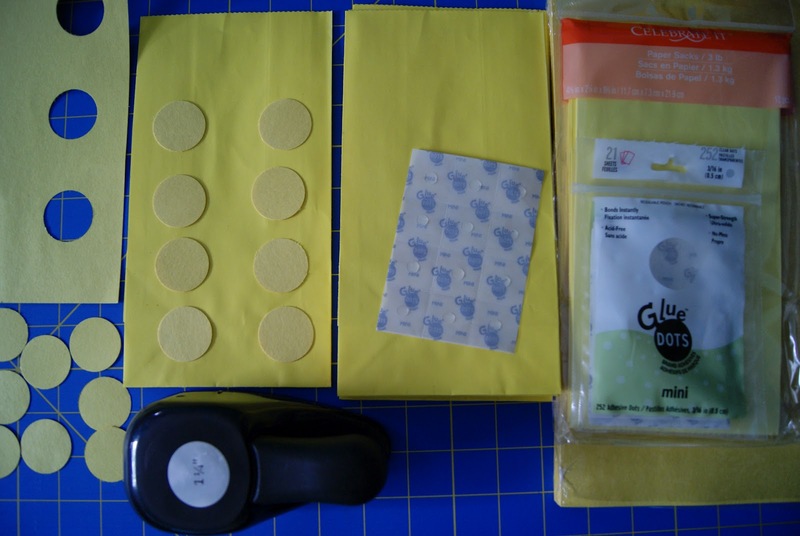 The gift bags were yellow lunch bag sized paper sacks with 8 circles, cut out using a 1 1/4" circle punch and attached with glue dots. 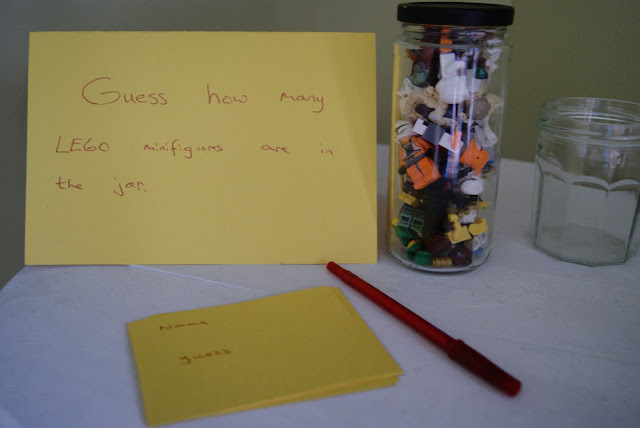 The kids played a game of guess how many LEGO minifigures are in the jar, the prize was a LEGO minifigure. See you tomorrow for the second summer birthday party!